(TNS)—Tempted by that offer for a new credit card with an interest-free grace period? Don’t succumb to the first attractive zero percent interest credit card offer that comes your way—unless it’s the right card for you. First, come to understand your own motivations. A credit card with a no-interest introductory offer may be a good choice if you’re looking to consolidate debt through a balance transfer or if you’re contemplating a vacation or big purchase but don’t have the cash to immediately pay for it. Then, compare the terms of the cards you’re considering. Doing so can help you avoid potential pitfalls and choose the best offer for your circumstances. Before you take the zero percent plunge, consider these five tips to make sure your decision is the right one. Zero percent interest cards offer a free promotional period on purchases, balance transfers, or both for a set time, typically anywhere from 12 to 21 months. After that teaser period, the card’s standard annual percentage rate will kick in. Examine that go-to rate closely. If the standard APR is higher than the rate you’re charged on your current cards—and you even occasionally carry a balance—it probably doesn’t make sense to use the new card after the intro period expires. 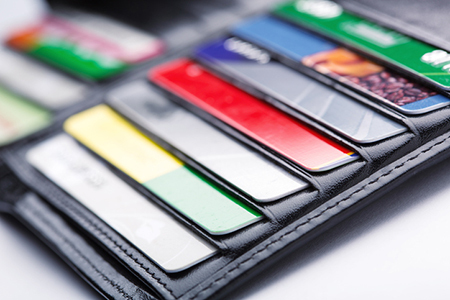 Some zero percent interest cards double as a rewards credit card and charge an annual fee. Make sure you’ll be able to take advantage of the rewards you’ll get in return for paying that fee. Otherwise, move on to another card. Although it’s possible to close the card after the promotional period is over, it’s not recommended. Like all credit card applications, before you’re approved, the issuer will do a “hard” credit check, which can adversely impact your score. And every time you close an account, you reduce your available credit, which can also ding your credit rating. The best way to take advantage of a zero percent credit card is to pay down a huge debt transferred from an existing credit card during the introductory period. Use that interest-free time to pay off your debt entirely (or reduce it substantially) before the intro rate expires and you begin paying interest, possibly at a higher rate than your original card. Paying the maximum monthly amount you can afford, without accruing interest, can give you a leg up on wiping it out completely. A balance transfer calculator can help you determine how much you’ll have to pay each month to retire the debt before the end of the introductory period. Even if you can’t pay the debt in full by the end of the intro period, always make sure to pay on time. A late payment could void the promotional period, possibly trigger a penalty APR and cost you a princely sum in late fees. Don’t be fooled: When it comes to balance transfers, a zero percent offer doesn’t mean you’ll be able to pay off your debt for free. Balance transfer offers typically come with a one-time fee that ranges from 3 to 5 percent of the amount being transferred, although there are cards that charge no fee. Most of the time the math will work in your favor, even if you’re moving a substantial sum to a new card, but it’s smart to ensure that what you’ll save on interest payments is greater than the upfront fee. Let’s say you want to transfer $5,000 to a card that charges no interest for 12 months. If the card charges a 3 percent transfer fee, you’d pay $150 to move the balance to a new card. Use a calculator to determine what you’d pay in interest on your current card over the course of the intro period. Even if you have a cheap zero percent APR on your current card, your interest payments during that year would be much higher than the transfer fee—even assuming you paid off your entire balance. Alternately, you may find that the best balance transfer credit card for you is one with a shorter promotional period but doesn’t charge a balance transfer fee. In some cases, it may be a better option than a card with longer terms that has a hefty upfront charge. It might be tempting to splurge a little with a new card—especially if you won’t get charged interest on new purchases for a year or longer. Spending beyond your means is how debt accrues in the first place, and even an interest-free purchase still has to be paid for. So, if you get a zero percent credit card to help manage your debt, be cautious about spending. If you carry no credit card debt and want the card to finance a big purchase that’s beyond your monthly budget, like an appliance or furniture, proceed with caution, as well. Do this only if you can pay off the purchase during the intro period. Like most of the best credit card offers available, the better your credit score, the more likely you are to qualify for a great offer on a balance transfer card. “Because of the structure of the cards, they’re really reserved for people with great credit. Even though you may want one, you may not qualify,” says Ulzheimer. Overall, issuers rejected 17.7 percent of credit card applications between October 2016 and February 2017, according to a survey by the Federal Reserve Bank of New York. Even if you are armed with a high enough credit score to qualify for the best offers, in some cases, there may be a cap on the balance transfer amount. Check the fine print to see if the balance transfer card will meet your needs before applying. “Your balance may be (so) large that the new issuer won’t accept it,” says Linda Sherry, director of National Priorities at watchdog group Consumer Action.